We carry a wide selection of electronic cigarette products, accessories, mods, and more. Electronic cigarettes aren’t a one-size-fits-all product. With many types, styles, mods, accessories, and e-liquid flavors to choose from, the options are endless. 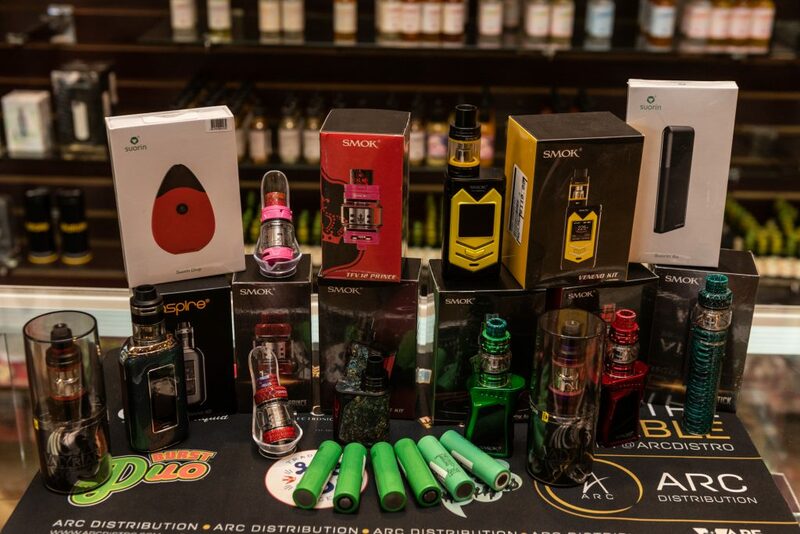 If you’re an electronic cigarette user, shopping at Smoker’s Galaxy will allow you to customize a set-up that works best for you. If you’re new to electronic cigarettes, stop into the shop and let one of our experienced staff members guide you in your selections. We want you to be thrilled with your new purchase. Stop into Smoker’s Galaxy to see all of our available electronic cigarette products and accessories.